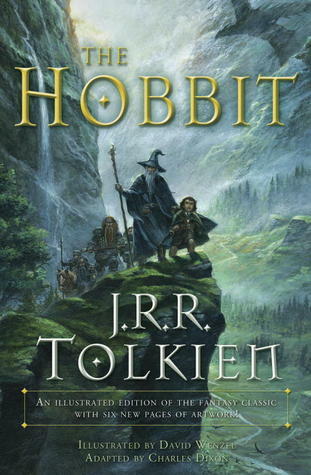 DJ's Book Corner: #WIN the illustrated fantasy, THE HOBBIT, in my Gratitude #Giveaway! #WIN the illustrated fantasy, THE HOBBIT, in my Gratitude #Giveaway! It's that time again! Another fantastic graphic novel is up for grabs. Just my way of saying thanks for being great followers and readers. Ends November 30. Good luck! The Hobbit (Illustrated) in print! Enter my giveaway and then visit the dozens of other hosts in the linky below! Hmmm...where does it say that's it's Canada only? Just asking because what I see says its International so everyone is welcome to enter!